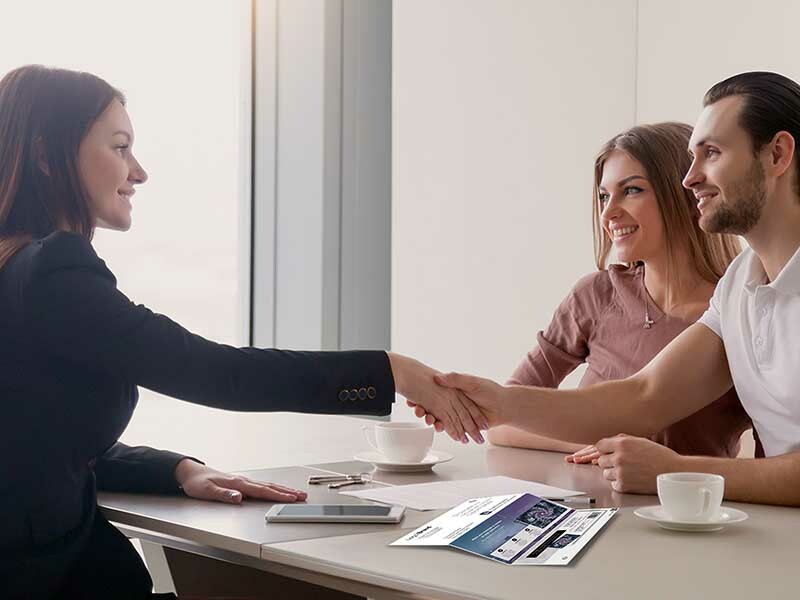 As a payment technologies company with a foundation built on cards and digital offerings, we facilitate connections between people and technology via traditional and next generation solutions that enhance people’s everyday lives. We aim to inspire and delight our customers with market-leading quality products and service and platforms that make working with us easy. With a focus on helping our clients elevate the customer experience, we are committed to product consistency, proven execution, innovation, and world-class service. We provide a wide range of scalable options to clients of all sizes. With more than 20 years of experience as a trusted partner to financial institutions, CPI Card Group® is a leading provider in payment card production and related services, offering end-to-end credit, debit, and prepaid payment solutions delivered physically, digitally and on-demand. Covering a broad range of needs, our solutions include EMV chip, mag stripe, RFID, dual interface, metal, personalization, packaging, fulfillment, instant issuance, digital payment services, and more. CPI™ continuously works to enhance our offerings and to create and deliver next generation products and solutions that meet the demands of the marketplace and exceed customer expectations. From EMV and dual interface to metal cards, instant issuance, on demand personalization and digital card issuance, we serve a diverse set of customers. 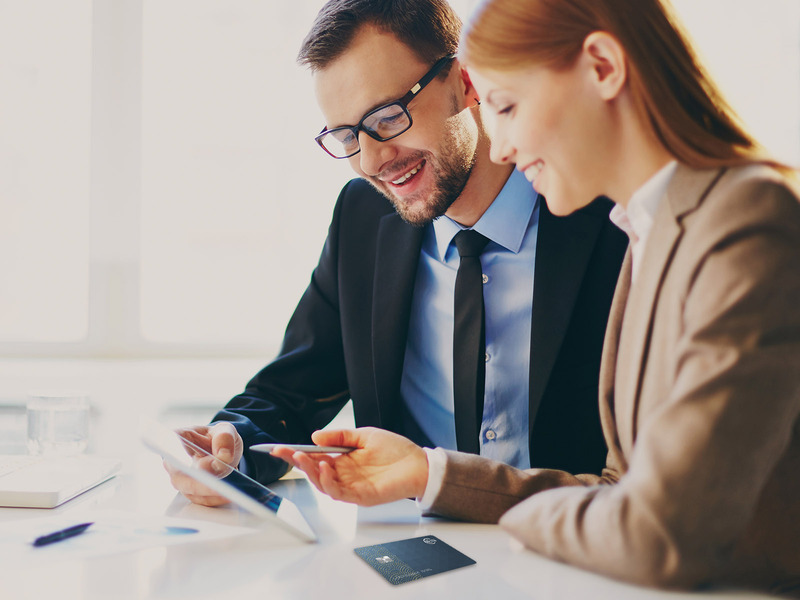 Our customers include many of the largest U.S. issuers of debit and credit cards, the largest global managers of prepaid debit card programs, and thousands of independent community banks, credit unions, group service providers and card processors. We're ready to meet your needs. CPI has a large network of high security facilities in the United States, each of which is certified by one or more of the payment brands: Visa, Mastercard®, American Express, and Discover. As thought leaders in our industry, we actively participate in next generation products and solutions. ICMA acts as a resource for industry issues, including the production, technology, application, security and environmental issues of cards. 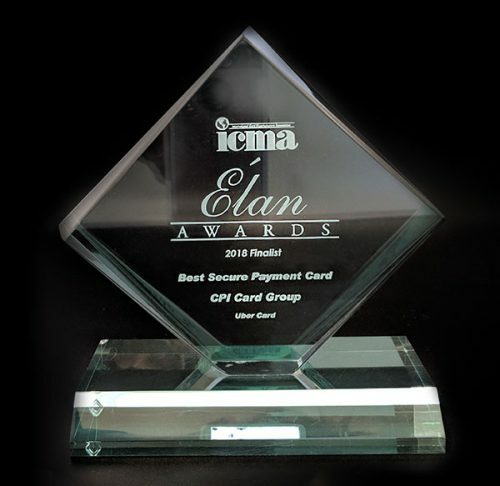 CPI has been recognized for its innovative card design through the ICMA Élan Awards. 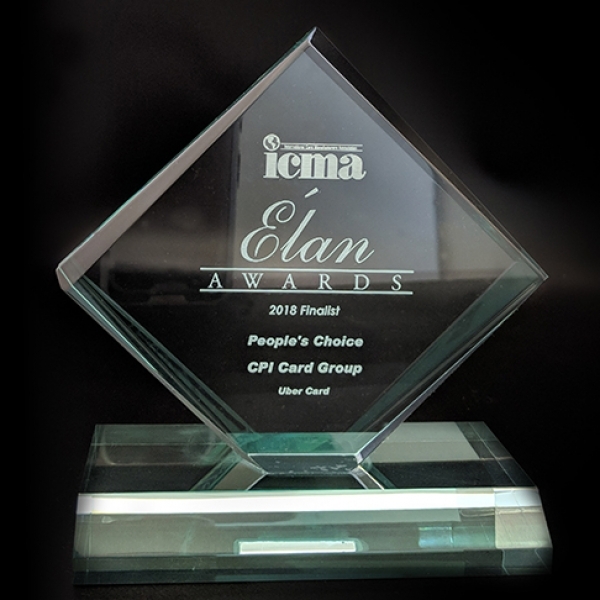 CPI won in three categories of the International Card Manufacturers Association’s (ICMA) 2018 Élan Awards of Excellence. The awards celebrate the best of design innovation, security and technical achievements in the industry by leading global card manufacturers. 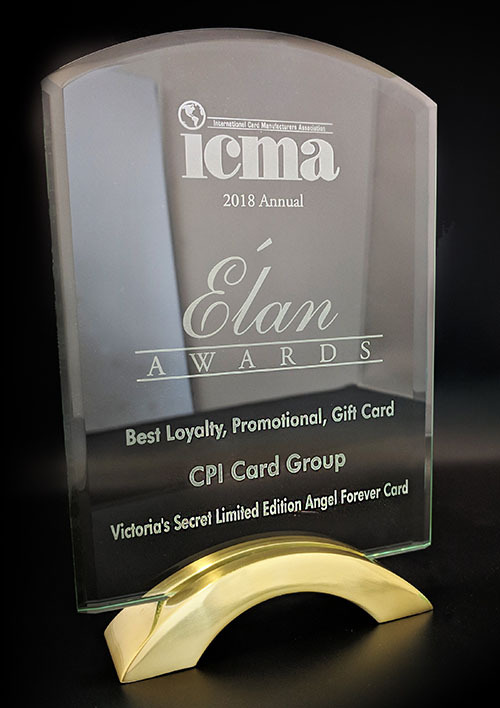 A first place award was won in the Loyalty, Promotional and Gift Cards category for a sophisticated metal card crafted especially for a prominent brand partner of Alliance Data. 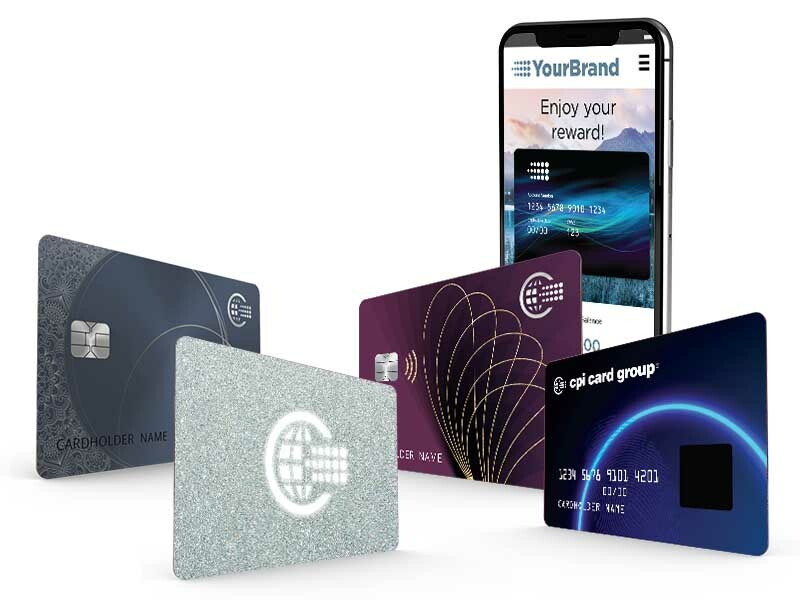 The card – a product from CPI Metals™, celebrates and honors elite cardholders, and features encapsulated tungsten and a sleek brushed metal appearance. Additionally, CPI’s Uber Card for Barclays was named First Finalist in the Best Secure Payment Card category. Designed to reflect the Uber brand identity and a bridge between digital and physical worlds, the card features a custom teal core placed between fields of dark gray – with elaborate, Uber-inspired artwork dancing across the surface through a holographic rainbow foil and post-laminate varnish. The design and quality of the Uber Card also led to its recognition as a First Finalist in the People’s Choice Award category, which is awarded based on ballots cast by ICMA EXPO attendees. ACE-M designations are awarded to professionals who successfully complete a rigorous exam demonstrating abilities and knowledge in technologies and processes specific to card manufacturing or personalization and fulfillment. CPI Card Group has graduated over 60 individuals from the ICMA's Advanced Card Education Designation M (ACE-M) – the most of any company in the world. CPI received the 2016 Center of Excellence Award at the Secure Technology Alliance’s annual member meeting. The program recognizes member companies who reach the highest level of active participation in the Secure Technology Alliance, a not-for-profit, multi-industry association focused on smart card technology. As the U.S. payments market continues to evolve rapidly, CPI was recognized for its role in supporting the migration to EMV payments by providing market insights and education. CPI was named the winner of a Bronze Stevie® Award in the New Products – Business-to-Business Products category in The 16th Annual American Business Awards®. The American Business Awards are the U.S.A.’s premier business awards program. The mission of the Stevie Awards is to recognize and generate public awareness of excellence in the workplace worldwide. The American Business Awards are the only national, all-encompassing business awards program in the United States. CPI is a leading provider of integrated credit, debit, and prepaid debit card solutions in the U.S., having made strategic investments and grown both organically and through market relevant acquisitions over the past 20 years. In 2010, we acquired certain assets of Premier Card Solutions, a leading provider of financial payment cards, data personalization services and tamper-evident security packaging for prepaid debit cards. Premier’s utilization of the payment card brand networks significantly enhanced our offering to prepaid debit card customers. To address market demand for customization and immediacy, we acquired EFT Source in 2014, a recognized leader in the financial technology industry, in order to offer Card@Once instant issuance and expand personalization and end-to-end services. To support our customers with the U.S. market migration to EMV beginning in 2015, we invested in our physical infrastructure and equipment platform along with information technology and human capital across our network of facilities. We offer contact EMV, contactless EMV and dual interface EMV (contact and contactless). Our most recent innovations, including CPI Metals™, CPI On-Demand™, and CPI Digital™ represent our investment in re-inventing the “how” of payments and addressing the evolving needs and expectations of our customers including differentiation, customization, speed, flexibility, and omni-channel delivery. Scott Scheirman has over 30 years of progressive and successful business leadership experience, primarily with financial services and technology enabled companies. He has extensive executive leadership, strategic financial, operations, international and governance expertise. Mr. Scheirman served as Executive Vice President and Chief Financial Officer of Western Union (NYSE:WU, a Fortune 500 Company) for seven years. Mr. Scheirman also held a variety of executive leadership and financial roles of increasing responsibility at First Data Corporation (NYSE: FDC) during his fourteen year tenure with the company. Prior to joining First Data Corporation, he was with EY for seven years. Most recently, Mr. Scheirman was the CEO of JKL Ventures LLC, a strategic advisory and private investment firm. He has served as a member of CPI Card Group’s Board of Directors since October 2016. Mr. Scheirman earned a Bachelor of Science degree in Business Administration with emphasis in Accounting from the University of Northern Colorado. Jason Bohrer has served as our SVP and General Manager, Secure Card Solutions since January 2018, and previously served as SVP of Operations since joining CPI Card Group in May 2016. Mr. Bohrer has over 20 years of global executive experience in a variety of operations, sales and program management roles. Mr. Bohrer most recently served as Vice President of Operations for HID Global, a company focused on secure identity solutions, where he led the operations footprint for the company including 10 different manufacturing and fulfillment sites across the globe. Responsibilities included production, manufacturing engineering, supply chain, quality, facilities and security functions. Previously, he also served in a number of operational roles at Motorola Inc. Mr. Bohrer received his bachelor's degree in Economics from the University of Texas at Austin and was also an inaugural member of the University of Chicago’s Executive Institute. Lane Dubin has served as our SVP and General Manager, Prepaid and Instant Issuance since January 2018, and previously served as SVP Sales and Marketing since joining CPI Card Group in August 2016. Mr. Dubin has over 20 years’ experience as a global sales, client, and business development executive in the card, financial services and business travel industries. Most recently, he was the Head of Global Sales at American Express Global Business Travel, responsible for running a global organization focused on securing and managing the largest business travel accounts in the world, representing billions of dollars of travel volume. In his prior role he was Vice President, Business Development – North America, at American Express Global Business Travel where he oversaw and led activities for North America sales. Earlier in Mr. Dubin’s career, he held roles with increasing responsibility with American Express including; Vice President-Business Development, Financial Education Services for American Express Financial Advisors and Director of Sales and Business Development for Ketera Technologies, a technology start-up incubated by American Express. Mr. Dubin is a graduate of Ursinus College and holds a bachelor’s degree in Economics and Business Administration. Rob Grant has served as our VP and Chief Information Officer since April 2018, and is responsible for driving overall IT strategy, Cyber Security roadmap, and technology operations. Prior to joining the company, Mr. Grant served as Vice President of Global Technology and Cyber Security for Colorado-based footwear company Crocs, where he provided executive leadership for IT strategy and delivery as well as building a strong Cyber Security presence globally. He has over 20 years of proven technology/business leadership success with some of the most dynamic and progressive companies in the area. During his career, he held key technology leadership positions with Newmont Mining, IHS, and JD Edwards. Mr. Grant received his degree in Organizational Communications from the University of Northern Colorado and has Graduate studies in Business Management at the University of Maryland. Lisa Jacoba has served as our Chief Human Resources Officer since June 2015. Prior to joining CPI, Ms. Jacoba was the SVP of Human Resources at Western Union Business Solutions in London, England. During her time at Western Union, she was responsible for making significant contributions to the company in all aspects of Human Resources, including M&A, HR integration, talent acquisition, employee engagement, organizational design, learning and development, performance management, employee benefits, and compensation programs. Prior to this role, Ms. Jacoba specialized as the SVP of Global Talent Management in Denver, CO. Additionally, she performed various strategic senior HR management roles during her 20-year career at First Data. Ms. Jacoba holds a Bachelor of Science degree in Human Resource Management. Sarah Kilgore has served as our Chief Legal and Compliance Officer since December 2017. Prior to joining the Company, Ms. Kilgore was Of Counsel with Moye White LLP, a law firm based in Denver since June 2017. Prior to Moye White LLP, Ms. Kilgore founded and provided legal services through Kilgore Legal Group, LLC from December 2011 through June 2015. Prior to establishing Kilgore Legal Group, LLC, Ms. Kilgore served as Associate General Counsel, Governance and Securities for Western Union from 2006 to 2011. Additionally, she held various legal positions at First Data Corporation and AT&T Corp., and was in private practice with Sherman & Howard LLC. Ms. Kilgore earned her Juris Doctor degree from the University of Michigan Law School and received her Bachelor’s Degree in Business Administration from Michigan State University. John Lowe has served as our Chief Financial Officer since July 2018 and has over 15 years of executive finance and accounting experience. Mr. Lowe recently served as CFO of SquareTwo Financial Corporation, a Denver-based financial services company with over $300 million in revenue. Prior to his role as CFO, Mr. Lowe held multiple leadership roles with SquareTwo including Treasurer and VP of Finance. He has also held various financial positions of increasing responsibility at Archstone, a Real Estate Investment Trust, as well as with Deloitte & Touche, LLP. Mr. Lowe is a Certified Public Accountant in the State of Colorado and a Chartered Financial Analyst. He graduated from Virginia Polytechnic Institute and State University with a B.S. in both Accounting and Finance. Guy DiMaggio has served as our SVP and General Manager of Personalization since Jul 2018. Mr. DiMaggio is a financial services executive with over 20 years of experience building and leading world-class operations and customer service teams. Prior to joining CPI, he was the SVP and Head of Operations for iPayment Inc, responsible for leading all client support and relationship management in the merchant acquiring / card processing industry. Prior to iPayment, Mr. DiMaggio served as the SVP of Integration and Indirect Business Channel for Vantiv. He also spent nearly a decade in executive roles with increasing responsibility working globally for Western Union, including Vice President of Operations for Europe, Middle East, Africa, Asia, & Pacific. Mr. DiMaggio earned his MBA from the University of Denver Daniels College of Business and he holds a BA in Communications from Shippensburg University in Pennsylvania. Kevin O’Brien has served as our Chief Accounting Officer since April 2018, and previously served as Director of Corporate Accounting and SEC Reporting since joining CPI Card Group in March 2016. Prior to joining CPI, Mr. O’Brien served as the Director of Financial Reporting and Compliance of Sports Authority, Inc., a sporting goods retailer, from 2014 to 2016. From 2011 to 2014, Mr. O’Brien served as the Assistant Controller of CIBER, Inc. (OTCPK: CBRIQ), an information technology and services company. Prior to joining CIBER, Inc., Mr. O’Brien was a Senior Audit Manager at Deloitte & Touche LLP from 2002 to 2011. Mr. O’Brien holds both a Bachelor of Arts degree and Master of Science degree in Accounting from the University of Colorado at Boulder and is a Certified Public Accountant in the State of Colorado.